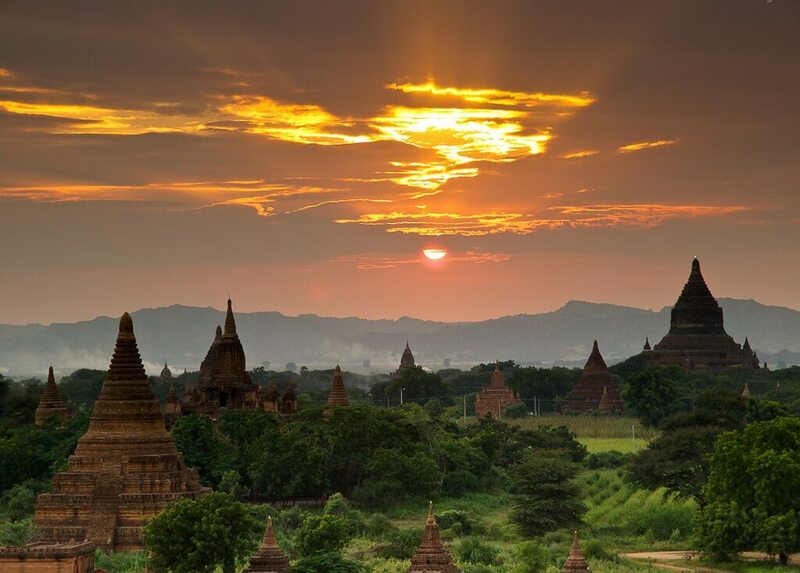 Located in the eastern bank of the Irrawaddy River, Bagan is the ancient city of Burma which is now famous for its numerous temples and monuments with long-lasting history. There are many hypotheses about the foundation of ancient Bagan City. The Burmese chronicles said that the foundation was from the second century CE while mainstream scholarship assumed to be in the mid-to-late 9th century. Bagan was the capital and the center of politic, economy and culture of the Pagan Empire from 1044 to 1287. Under the reign of Bagan’s rulers, thousands of religious monuments were built in Bagan plains which attracted a lot of monks and students from India and Ceylon to come to study. 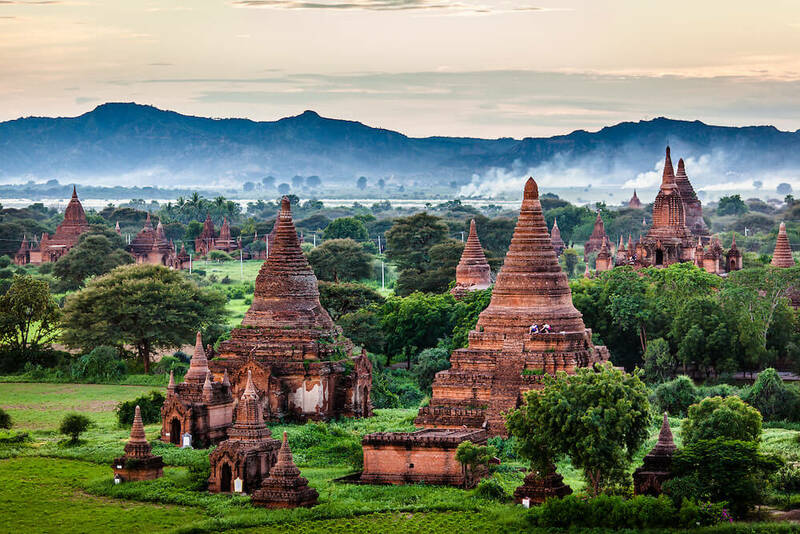 The region of Bagan dominated its culture which was then a succession of religious trends in the Pyu era where there was the survival of Mahayana Buddhism, Tantric Buddhism and various Hindu schools. In 1287, due to continuous invasions of Mongol, the Pagan Empire collapsed but it was not a reason because of its little damage, according to recent research. Until December 1297, the city was no longer the capital of Burma when Myinsaing Kingdom took over power in Upper Burma. The survival of Bagan City still continued until the 15th century which played a role as a human settlement and a pilgrimage destination. In the period between 15th and 20th century, the development of temples construction became slower and only most prominent temples including the Ananda temple, the Shwezigon pagoda, the Sulamani, the Htilominlo temple, the Dhammayazika remained pilgrimage destinations. Experiencing various earthquakes with huge damages, there remains only 2229 temples and pagodas in Bagan. However, many damaged pagodas now have been in reconstruction with the hope of making Bagan an international tourist destination. Bagan City is now a famous tourist destination in tourism industry with the total international visitors of over 300,000 per year. 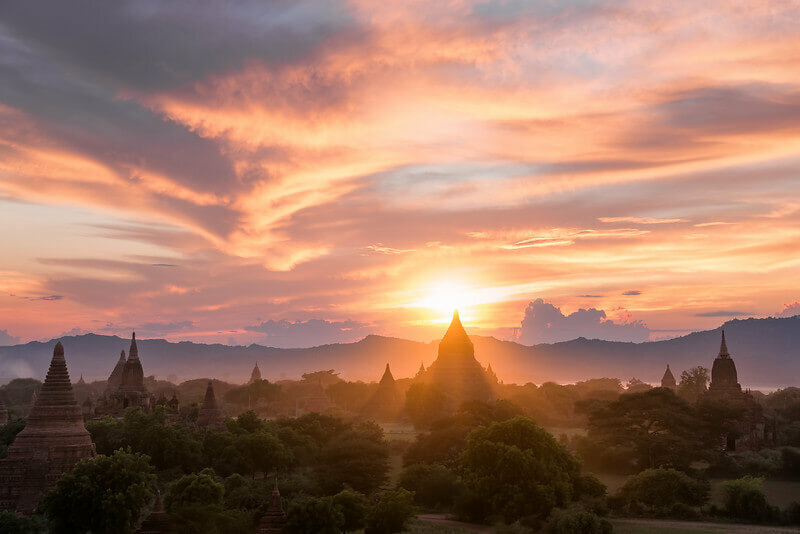 With such fast development in tourism, Bagan government will have to expand its modest tourism infrastructure to meet the need of travel in following years. 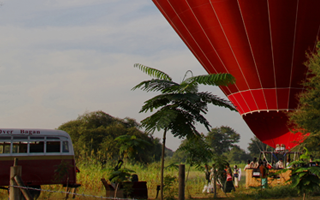 The most popular means of transportation in Bagan is by planes. The Nyaung U Airport located on the outskirts of Nyaung U is the gateway to Bagan with only 20 minutes drive. From the Nyaung U Airport, it will take 80 minutes to fly to Yangon, 30 minutes to Mandalay and 40 minutes to Heho. Rail system is used popularly for tourists to travel around Bagan City with a daily overnight train between Yangon and Bagan taking at least 18 hours. There are two daily trains between Mandalay and Bagan taking at least 8 hours. 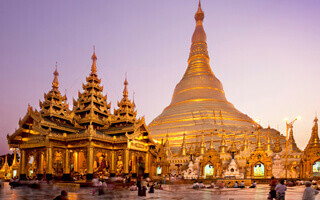 There is also bus and car system to transfer around Yangon and Mandalay which takes about 9 and 6 hours respectively. There is also ferry service operated daily between Bagan and Mandalay which takes about 9 hours along the Irrawaddy river. 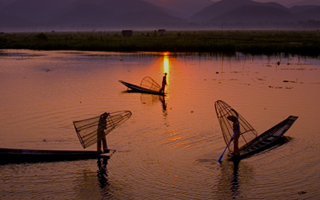 For cruising option, please check out Irrawaddy River Cruises. » What to buy in Bagan City? 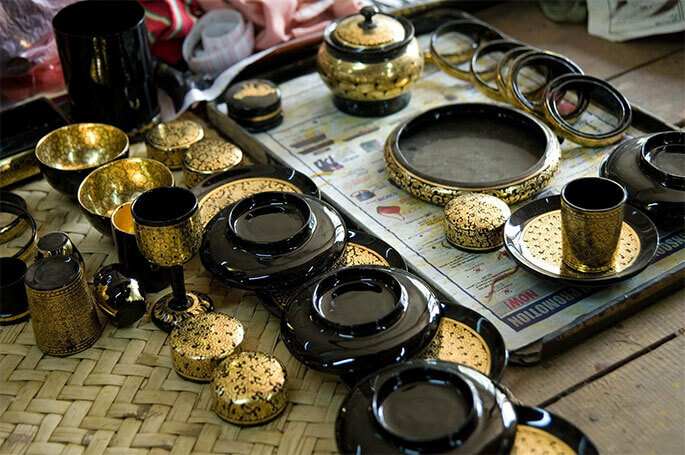 Being the ancient city, instead of modern shopping centers, Bagan is famous for its traditional products including arts, crafts and other items with various stalls. 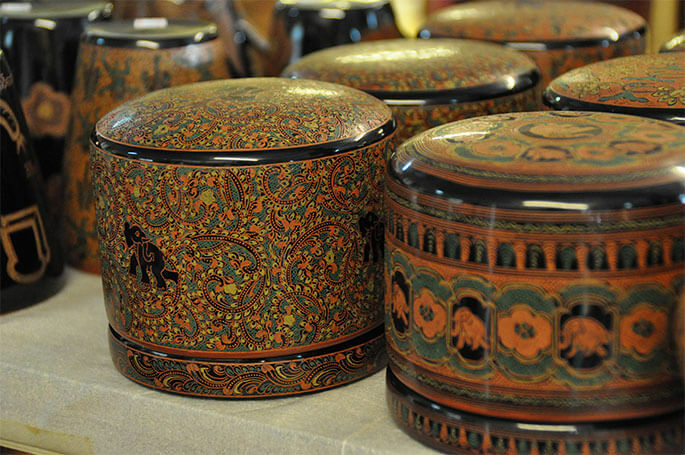 Among handicrafts in Myanmar, it is impossible not to mention lacquerware which are popularly produced and used over the region. This has been the distinctive feature of Bagan for centuries and is worth learning about when you enjoy a Bagan travel. 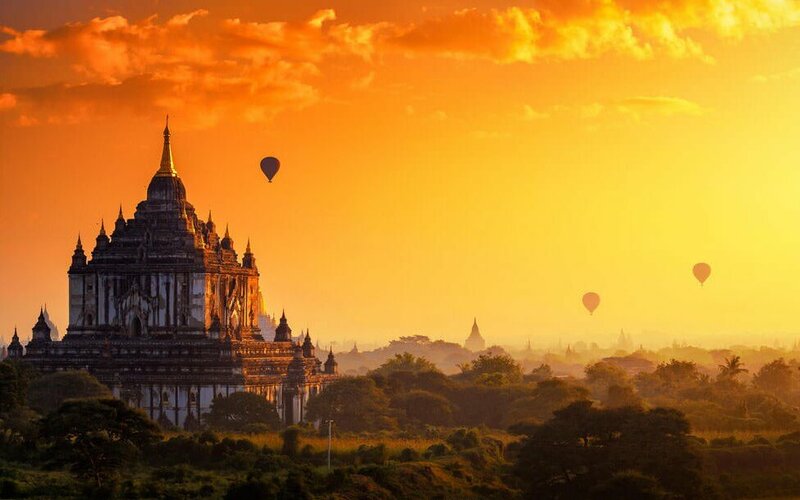 I would like to visit Bagan in Dec – for 5 days and would like to know the places that we ought to visit. For hikers/trekkers, Is there a trail that could be done and what is the recommended days of the hike.